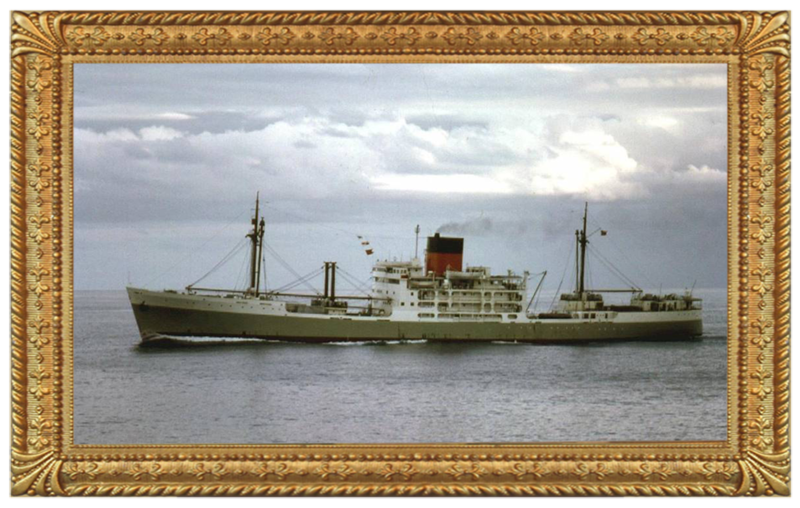 Cargo Passenger Liner built by William Denny & Bros., Dumbarton for Indo China Steam Nav Co Ltd., Hong Kong. Engines by shipbuilder. Propulsion: 2 Steam Turbines dr geared to sc shaft 8,400 shp. 16 knots. Port of Registry: Hong Kong. 1968 (part-owner) Dominion Nav Co Ltd.